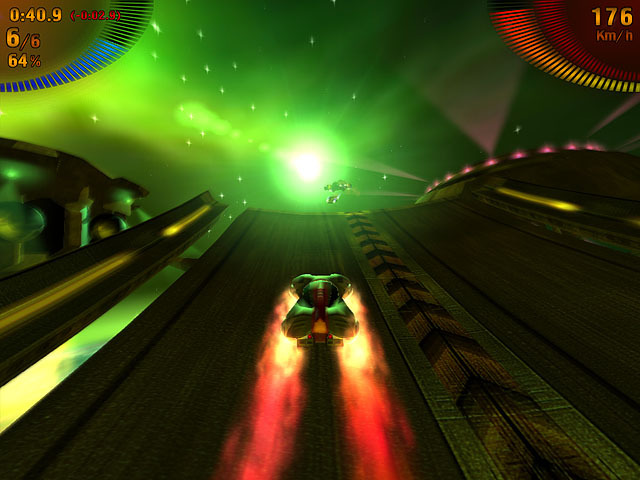 3D space racing game. Are you ready to race against desperate daredevils? Take part in the intergalactic race and leave behind your rivals! This incredible race takes place in outer space, so always be on the alert and try not fly off the track. A wide range of vehicles and racing tracks will allow you to stay in this game for a long time.